You jump from hammer to hammer, pressing down until they strike the taut wires below. A sliver of light cuts through the darkness, dimly illuminating your pathway across the falling platforms. Pristine tones accompany the strikes, resonating through your surroundings and vibrating your entire body. The roof above ascends, showering you in blinding light. You crawl out and sit on a narrow cliff, looking down on large hands over black and white keys . . .
Jazz is cool again, thank heavens. Residing on the fringe of obscure music tastes for too long, the genre made a recent resurgence as a vessel for artists outside the realm of jazz, permeating the sounds of rock (David Bowie), soul (Kamasi Washington), hip-hop (Kendrick Lamar), and especially electronica. 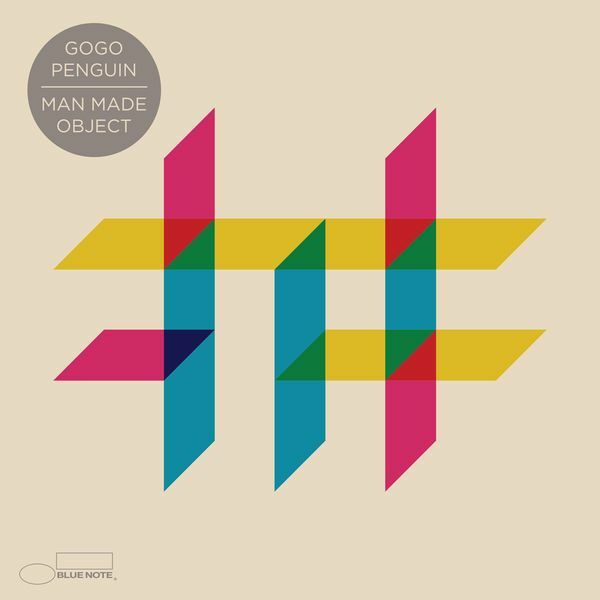 Man Made Object is a pristine example of that last one, and the newest full-length from Manchester band GoGo Penguin. The trio of pianist Chris Illingworth, drummer Rob Turner, and bassist Nick Blacka are masterful in their ability to mix flavors of grandiose classical and experimental electronic music with their unique breed of improvisation-heavy jazz. These compositions are predominantly upbeat, groove-filled, piano-led affairs (vaguely resembling Robert Glasper), but the musicians individually and collectively radiate in equal amount. If an inkling of jazz interest can be found within a listener, the sounds of GoGo Penguin are an excellent entry-point; they also cater to those that can call themselves enthusiasts of the genre. Man Made Object is a rarity: a collection of songs so undemanding on the surface, yet so intricately compelling at its core, that nearly any kind of listener can become infatuated with it. If you’re seeking euphonious jazz, this album is for you.